If It's Too Loud...: The Prefab Messiahs - "Psychsploitation"
Worcester's own The Prefab Messiahs have had an interesting career. The band originally ran from 1981 to 1983 and then was pretty much silent until 2015 when they reformed and released Keep Your Stupid Dreams Alive. Since then, they've released a couple of singles, and in January are set to release another full length. Their first song off the upcoming album, "Psychsploitation," is exactly what we want from The Prefab Messiahs at this point. 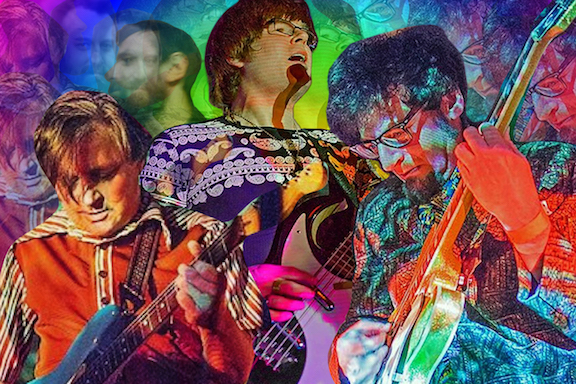 It's a blast of psychedelic garage rock that sounds like it's coming from a band that ran well before the 1980's. It's what I imagine The Monkees might have sounded like if the members had met organically and not on a television show about a band. 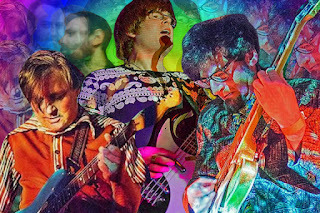 Hidden in pop hooks and the psychedelic feel are these squealing guitars you wouldn't normally find in this style of music, which just adds to the entire crazed feel of the song. You can watch the video for "Psychsploitation" below. The Prefab Messiahs new album, Psychsploitation Today, will be out January 26 on Lollipop/Burger Records. For more on The Prefab Messiahs, check them out on Bandcamp.